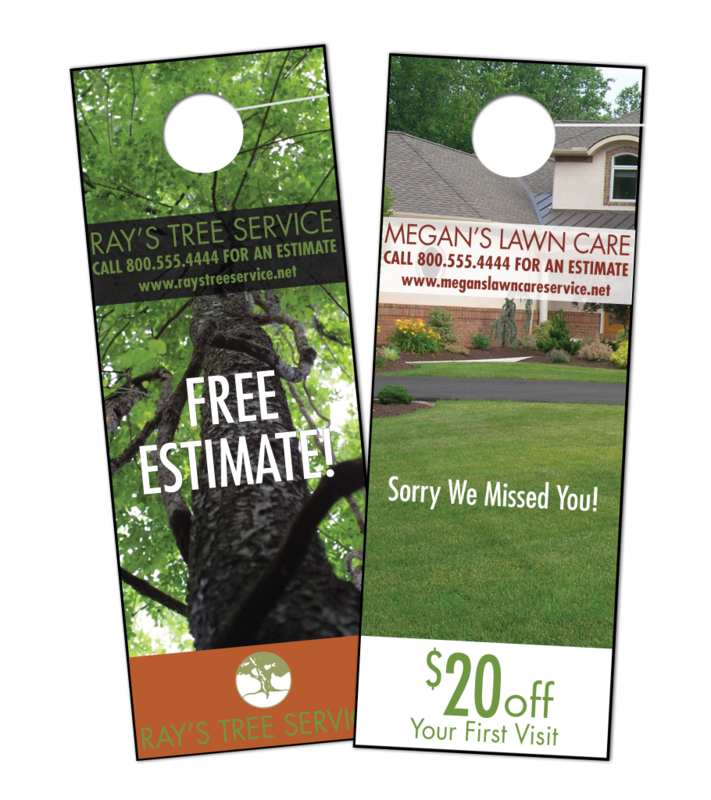 Door hangers are perfect way to take your customer’s message door-to-door. Door hanger marketing is quick, easy, affordable and highly targeted. Best of all, it’s one of the most effective ways to get your customer’s message in the right hands, at the right time. When a large retail giant launched their new logo, they used door hangers to create awareness of their new look and revamped store environment. To drive traffic to retail stores, a local hardware company offered consumers $25 off the purchase of $100 or more. The size and placement of the great offer was highly visible to consumers as they approached their front door. Door hangers can be used in a variety of ways to market your customer’s business. Whether they are seeking new customers or trying to generate repeat business, doorknob hangers will give them some serious bang for their marketing buck.